As a licensed HVAC and mechanical contractor with over 20 years of experience and a team of thoroughly trained, NATE-certified technicians, we're well qualified to work on residential and commercial furnaces, air conditioners, heat pumps, ducted and ductless mini-splits, packaged rooftop HVAC units, boilers, exhaust fans, ventilation systems, grease ducts, commercial kitchen exhaust ductwork, and more. The dedicated, friendly team at Anacapa Heating & Air look forward to hearing from you. Whether you are looking for a routine furnace inspection and tune-up, an emergency air conditioner repair, or a new high-efficiency HVAC system, you can count on Anacapa to make sure you get high-quality workmanship, personalized solutions, and superior customer service at a great price. We're open Monday through Friday, from 8am to 5pm, and are on call 7 days a week for time-sensitive requests anywhere in Oxnard. Anacapa is a member of IHACI (Institute of Heating and Air Conditioning Industries), the Ventura Contractors Association, and the Building Trades Association. At Anacapa Heating & Air, we're extremely proud to be a Carrier Factory Authorized Dealer. In order to earn this title, we had to meet a number of strict requirements, from having carefully screened, NATE-certified HVAC technicians who receive ongoing factory training to maintaining exceptional customer satisfaction scores. When home and business owners work with a Carrier Factory Authorized Dealer, they can trust that they are working with an HVAC contractor who is held to the highest of industry standards. Our techs stay up to date on the leading best practices for heating and air conditioning installation, maintenance, and repair; are fully knowledgeable about Carrier's broad range of high-performance, energy-efficient, reliable, and environmentally sound products; and are always focused on identifying and recommending the best solutions for each customer's specific set of indoor comfort needs. 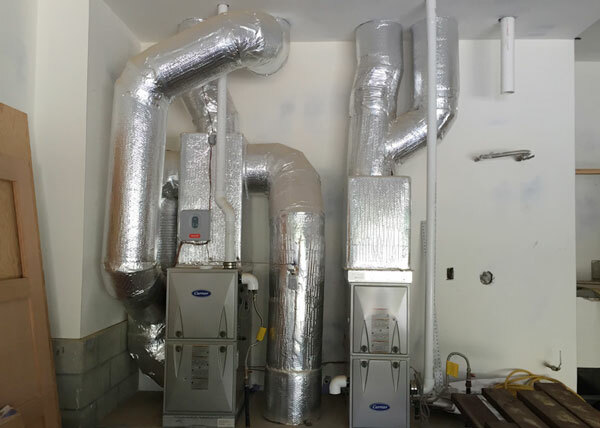 If you are interested in installing or replacing a furnace, air conditioner, heat pump, or mini-split system at your Oxnard home or business, contact us today and schedule your FREE on-site consultation and estimate. When you work with Anacapa Heating & Air, your HVAC installation or replacement will be backed by a 100% customer satisfaction guarantee for one full year from the date of installation. We're able to offer such a far-reaching guarantee because we are completely confident in the quality of Carrier's heating and air conditioning products and the expertise of our installers. Moreover, the majority of Carrier's heating and air conditioning equipment is further protected by a 10-year warranty. Whether your HVAC system is a year old or 10 years old, preventative maintenance is important. When you have an HVAC professional come out for a maintenance visit, you are helping to prolong the life of your equipment, improve your system's energy efficiency and indoor air quality, and potentially avoid inconvenient breakdowns and costly repairs. Additionally, for newer models, annual tune-ups may be required to keep the manufacturer warranty valid. 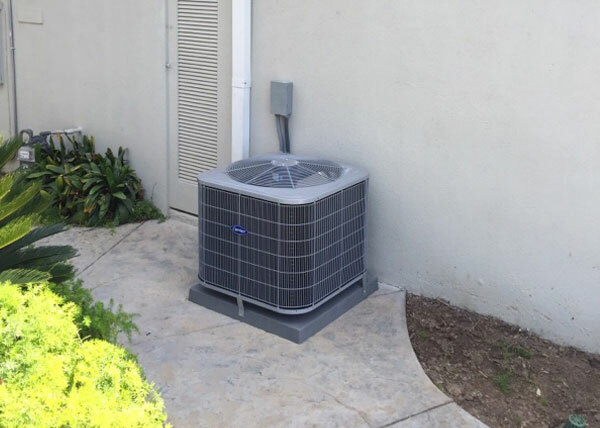 At Anacapa Heating & Air, we offer a comprehensive 20-point tune-up for air conditioners and furnaces of any make or model. This tune-up includes a thorough inspection, cleaning, and tune-up of your equipment by one of our highly trained and experienced service technicians. An air conditioning or heating tune up can be scheduled at any time of the year, but they are most effective when they are completed before the system is to be heavily used. For this reason, we typically recommend an air conditioner tune-up in the spring and a furnace tune up in the fall. For those who want to get on a regular maintenance schedule, consider joining our Preventative Maintenance Club. We personalize every membership to meet the needs of the client, so Club membership could include two, three or four maintenance visits a year. Club members are proactively called by our office staff when it is time to schedule their visit, and are also given priority scheduling and 10% off parts and materials for repairs. Call us today to schedule your heating or air conditioning tune-up in Oxnard or to learn about our Preventative Maintenance Program. If you are experiencing heating or air conditioning issues, call the experts at Anacapa Heating & Air. All of our furnace and air conditioner diagnostics and repairs are provided by our own HVAC service technicians. Our techs are not only highly experienced and factory trained, but also certified by North American Technician Excellence (NATE), which is considered the gold standard for technician development and certification in the industry. Contact us today so we can get you on our schedule. 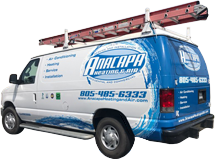 With over two decades of experience, more than 20,000 satisfied customers, and an exemplary reputation, Anacapa Heating & Air is Oxnard's best choice for furnace and air conditioner repairs. When you call to schedule service, we'll want to know the make and model of your equipment and what type of issues you are having. You'll be given a two-hour appointment window at a time that works for you as well as a courtesy call on the scheduled service date to confirm the appointment. If our tech is running late, we'll call you ahead of time with an update. Your tech will arrive in a service van that is well stocked with the latest diagnostic equipment and frequently needed parts and materials, allowing us to finish most jobs on the same visit. You tech will work efficiently, but still take great care to get the job done right, the first time. As a testament to the quality of our work and customer service, we receive the majority of our business from returning customers and referrals and have an A+ rating with the Better Business Bureau. Moreover, we keep our pricing fair and affordable: We charge just $69 for a heating or air conditioning service visit in the Oxnard area. This charge includes troubleshooting and diagnosing the issue, and providing a quote for the necessary repairs. All repair quotes are based upon the job, not the time it takes, and priced according to our flat-book rates. The $69 diagnostic fee can be applied to the cost of the repair if you choose to move forward with the work. Anacapa Heating & Air welcomes service requests for all major HVAC brands, including but not limited to Carrier, Bryant, Trane, Rheem, Goodman, Amana, Lennox, Payne, Honeywell, Day & Night, York, and American Standard. We also provide factory authorized repairs for Carrier equipment still under warranty. Had a small issue with our heater. Gave them a call and they came out the following day. The person that took my call was very pleasant and professional. The technician gave us a call when he was in route just as they said he would. He fixed the problem in no time and now we can warm up our house for the cold nights. We are so happy that we also purchased a second service for the A/C for the summer. We highly recommend Anacapa Heating & Air to everyone.